Kayla Drescher would love to bring her enthusiastic, engaging, and contagious personality to your next event! She’s performed for clients all over the nation, including IBM, CBS Interactive, UBS Warburg, Castleton College, The Make-a-Wish Foundation, and much more! 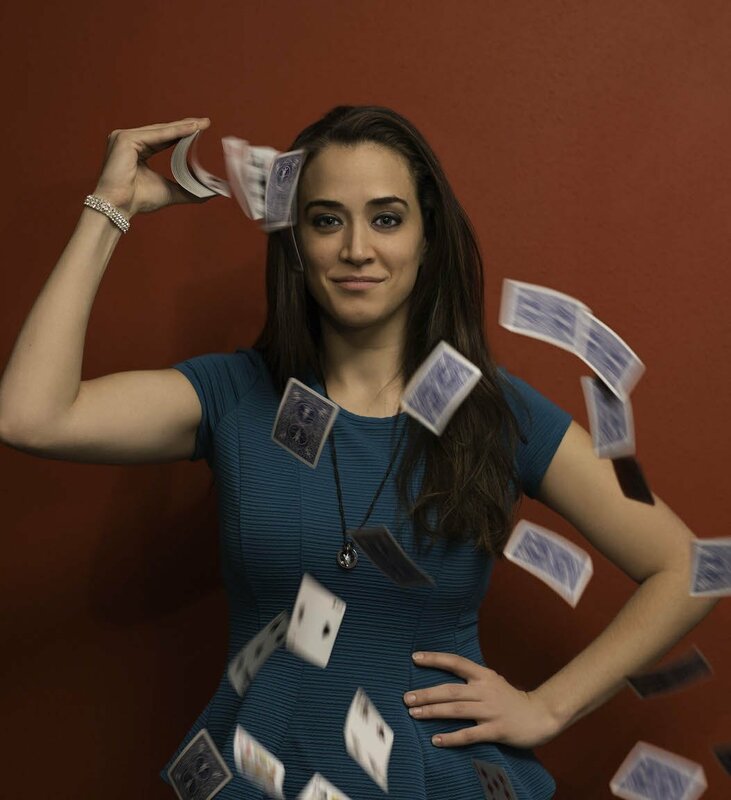 Kayla has won multiple awards, including the Society of American Magician’s Presidential Citation and Boston’s 2013, “Magician of the Year”. She’s also appeared on television numerous times, including Indiannapolis Fox 59 News, Connecticut’s “Talking with Tom”, and NBC’s “The Today Show”, where she won David Copperfield’s “Search for the Next Great Magician.” Kayla continues to push reality’s limits and create one unforgettable show. Watch the movie trailer above! Check out Episode 54 of the podcast, Fascinating Nouns. Kayla talks about performing, the Magic Castle, and much more! Whatever your next event may be, choose an entertainer that will put on an amazing show. Your guests won’t remember the thread counts of the napkins or the table cloths, but they’ll remember the entertainment, so don’t automatically go with the cheapest option. Go with the performer that they’ll be begging to see again at the next one! To find out more about Kayla’s award-winning shows, click here.